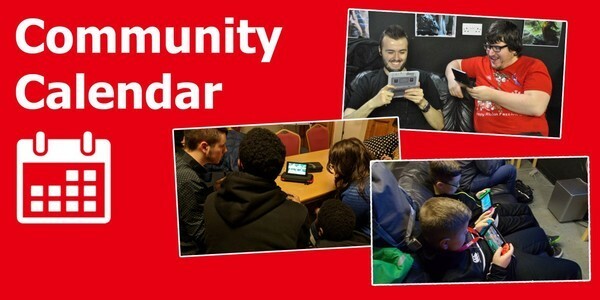 Be they focused on a single game or a celebration of many, independent Nintendo community events are happening all around the UK every week, offering great places to enjoy games on Nintendo Switch and Nintendo 3DS family systems while meeting and playing with like-minded Nintendo fans of all ages. Whether you’re looking for fellow Grizzco employees for some Splatoon 2 action, enjoy testing your battle strategies in Pokémon Ultra Sun and Pokémon Ultra Moon, or simply want to share the love for your current favourite game, the events posted below are all hosted by trusted friends of Nintendo UK so you'll be sure to meet plenty of friendly faces! With the end of April looming, a number of groups are already arranging their own creative gatherings to celebrate the launch of Nintendo Labo, and we’re sure to be featuring more events in the coming months. Make sure to check back each month to see what's happening in your local communities. Event: Nintendo Norwich: Feeling Lucky? Featured Games: Nintendo Labo, Snipperclips Plus – Cut it out, together! Event: Battle Royale in the LABO!